Apple ID is Apple’s all-in-one account that allows users to use all Apple services. It’s used to access a bunch of Apple services like iTunes, iCloud, iMessage, App Store, and so on. You apple ID is the email address and the password you use to sign in. The ID is also where your contact info and security details are stored. You can also store payment information for buying apps, storage, music and more, within your Apple ID. Generally, it’s advisable to only have once Apple ID. If you have more than one, you risk having a very confusing time syncing your devices and backing them up. You may end up with backups of some things on one account, and others on the other. Having more than one account will also increase the likelihood of forgetting your password, which might happen anyways (and that’s what this guide is all about), but you don’t want to have to recover your password. You should also avoid sharing your Apple ID with anyone. Having your own Apple ID prevents confusion over who owns the account, and ensures that only you have access to all your personal data and information. Now that you have a better understanding of what an Apple ID is, it’s time to get your password back. The Apple ID account page doesn’t work very well on mobile, and who wants to stare at a tiny screen for that long anyways? 1. Open your preferred browser. This could be Safari, Google Chrome, or whatever you like to use. 3. Then, click on ‘Forgot Apple ID or password?’. 4. This brings you to iforgot.apple.com. You can also enter this url right away if you want to slip going to the iCloud login page. 5. Enter your Apple ID. This is the email address that is associated with your iOS device. 6. If you have forgotten your Apple ID, click on Forgot My Apple ID. This will bring you to another page, where you enter your first and last name, followed by any email address that you can be reached on. 7. Once you’ve entered your Apple ID, it will request that you enter your phone number or answer a security question. 8. Then, Apple will ask you if you want to reset from a trusted phone number. This will be the phone number that Apple has on file. You can choose to reset from another device if you don’t have access from your trusted phone number. 9. At this point, you may run into a problem. If you are not running Mac OSX Sierra or iOS 10 you need to go through the account recovery process. If you are running Sierra or iOS 10, you can reset your password easily from that device. 10. For the purpose of this guide, we’ll take you through the entire account recovery process. Once you click Start Account Recovery, it will take you to the next screen, which just tells you that the process can take a while. 11. The next screen will have Apple send you a Verification Code. Enter this to move to the next screen. 12. Then, Apple will ask you to enter the credit card information you stored with them. 13. Account recovery is now happening. It does take a couple days to totally work, so don’t stress out too much. Often it takes even less time then they suggest. The process is slightly different, but much easier if you have iOS 10 or Mac OSX. We’ll take you through the same process on iOS 10. 1. Open up Safari and go to iforgot.apple.com. 2. Input your Apple ID email and hit Next in the top right hand corner of the webpage. 3. You’ll need to enter your trusted phone number. Then you should be able to input the verification code and reset your password. 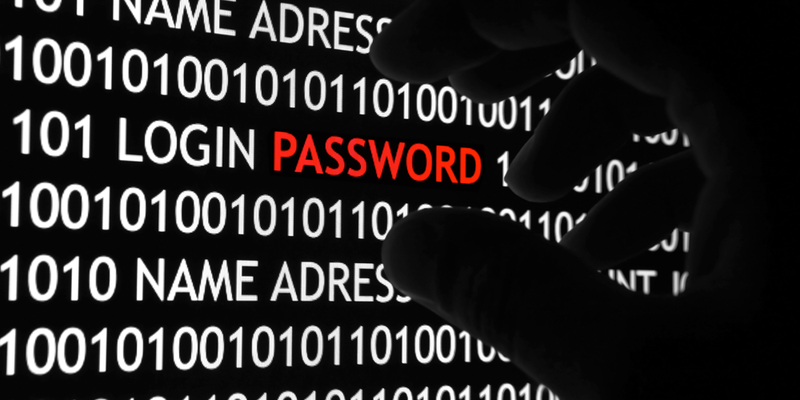 Why So Many Steps To Reset Your Password? Apple now uses Two Factor Authentication. Two Factor Authentication makes sure that your account can only be accessed by devices that you trust. Basically, when you set up a new device – be it an iOS device or a Mac – you have to provide two piece of information. Your Apple ID password as well as a verification code that is sent directly to your other trusted device. This means that your password isn’t enough to access your account anymore. Thus, your security is drastically improved; even if someone figures out your password, there still shouldn’t be a way to break into your account. Once you’ve been signed in, you shouldn’t have to ever go through the process again unless you sign out, erase the device, or forget your password. You will also have to go through the Two Factor Authentication when you’re signing in on a browser. However, you can make the browser a trusted browser and you won’t have to do that anymore. What Is A Trusted Device? 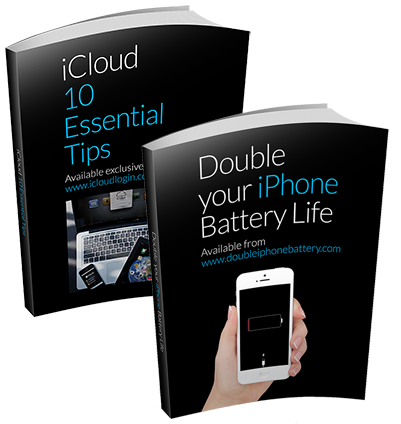 A trusted device is an iPhone, iPad, or iPod touch running iOS 9 or later. It can also be a Mac running OSX El Capitan or later. A trusted device is a device that Apple knows is yours and can be used to verify who is signing into your account by displaying a verification code. If you do not have two factor authentication turned on, it is strongly recommended that you do. 1. Open up Settings and tap on iCloud. 2. Tap on your Apple ID picture. 3. Tap on Password and Security. 4. Make sure that Two-Factor Authentication is turned On. 1. Open System Preferences and click on the iCloud section. 2. Again, tap your Apple ID picture. 3. Click on Security, and turn on Two Factor Authentication. Two Factor Authentication is by far the best system to keep your iOS devices secure. Apple used to use Two Step Verification to secure their devices. It was very similar, with one key difference. Using two step verification, Apple would send a 4 digit code to a trusted device, much like Two Factor Authentication. But if someone was trying to break into your account, and your account locked, you had to use a 14 digit recovery code to get your account back. This code was given to you when you signed up for two step verification, and you’re supposed to print it out and keep it somewhere. Here’s the thing, if your account gets locked, and you lose the verification code, there is literally nothing you can do. There are countless stories of users getting locked out, not having their recover code, and being locked out of their Apple ID forever. Apple won’t help with this. That’s why Two Factor Authentication is so much better; it’s more secure and you can recover your account using just trusted devices! 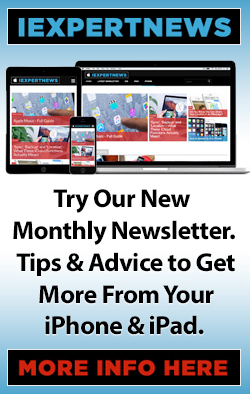 This article originally appeared in our monthly subscription newsletter, iExpertnews. To find out more about iExpert news. 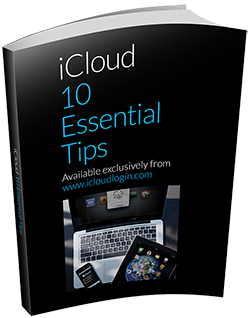 As an iCloud Login reader you can have a trial at $1 for the first month then just $5 monthly instead of $9 monthly.